The following speech will be made by City of Cape Town Executive Mayor, Patricia de Lille, during the full Council meeting today, 31 May 2017. Water is a vitally important resource in an urban environment. It keeps our people healthy and hydrated; it is an input into economic production processes that support jobs and exports; and it ensures that our eco-systems are vibrant and supportive of all life. Water is not to be taken for granted. To run out of useable water is to be presented with a crisis of catastrophic proportions. Over many decades, engineers and planners have built the water supply infrastructure in the city and in the surrounding areas that has served us well. 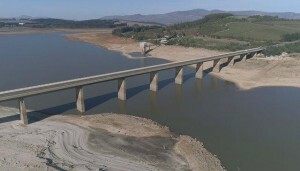 This infrastructure and the associated water management techniques have previously navigated Cape Town through drought periods. The drought we are currently experiencing is the most stubborn in recent history. It is a significant shock to the fabric our city and accentuates many other underlying stresses such as urbanisation. The City of Cape Town’s Environmental Health Department will put education and awareness in the spotlight to mark World No Tobacco Day tomorrow, 31 May 2017. Every year, the World Health Organisation (WHO) and its partners use the day to highlight the health and additional risks associated with tobacco use and to advocate for effective policies to reduce tobacco consumption. Tobacco is credited with more than seven million deaths a year. The WHO predicts that this figure could rise to more than eight million by 2030 unless action is taken. In South Africa, City Health is one of a number of agencies responsible for monitoring compliance with the Tobacco Products Control Amendment Act, but also raising awareness about the health and environmental risks associated with smoking. Dam storage levels are now at 19,7%, which is 0,8% down from a week ago. With the last 10% of a dam’s water mostly not being useable, dam levels are effectively at 9,7%. Disappointingly, consumption remains at 666 million litres, which is above the consumption target of 600 million litres. While dam levels are low, the City assures residents that water remains safe to drink. We are currently in the most critical stage of this drought crisis, yet consumption remains too high. Residents are reminded to use water only for drinking, washing and cooking. Tougher restrictions will be implemented this week. The exact restrictions that will be passed must still be deliberated by Council, however a blanket ban on all irrigation, filling of pools and washing of cars with drinking water has been recommended (among other things) by the Mayoral Committee. Notwithstanding restrictions, residents should please work towards the consumption target of under 100 litres per person per day. A five-minute shower can use between 40 litres and 70 litres, and flushing a toilet uses 6 – 21 litres, depending on the size of the cistern. One shower and five flushes of an average-sized toilet will push a person over their daily allowance, and this is not even taking into account other necessities such as drinking, cooking, and washing of clothes and dishes. As such, the City recommends limiting time under the shower to two minutes and only flushing the toilet when absolutely necessary. Stellenbosch University purchased a property of some 69 hectares (erven 23974 and 1682, Bellvile) from the former Bellville Municipality in 1982 with the specific objective of establishing a satellite campus in Bellville. Part of the property currently accommodates the University’s Business School, the School of Public Leadership, the Division for Part-time Studies and the Bellvista Lodge, while another portion is occupied by a golf driving range and toboggan track. The remainder of the property is vacant, although large areas of the site totalling approximately 23 ha are not suitable for urban development due to an old waste dump site and a quarry which have not been sufficiently stabilised. Water is only permitted for essential use. The metro, as the largest water user of the Western Cape Water Supply System, has achieved the 20% savings target set by the National Department of Water and Sanitation. We thank all residents, businesses and government departments for their water saving efforts but we simply have to do a lot more as consumption remains too high. We are asking all water users to reduce their water usage to 100 litres per person per day. 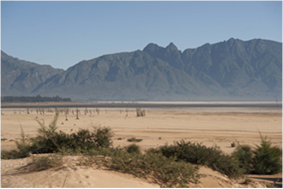 Cape Town is experiencing the harsh impacts of climate change, with reduced annual average rainfall and abnormal water patterns. No sufficient rain is predicted for the next three weeks. In terms of stepping up our response to water leaks and complaints, the City of Cape Town has allocated R22 million to employ additional staff for our first-line response teams who are deployed to attend to water faults reported to our call centre. Approximately 75 additional staff members have been employed to improve our response time to water complaints. These teams are able to identify the problem, do some repairs and/or isolate the leak, and call in the appropriate level of response to do major repairs. Springbok tight forwards Frans Malherbe, Eben Etzebeth and Pieter-Steph du Toit are all in the DHL Stormers starting line-up to face the Blues at DHL Newlands on Friday. Locks Etzebeth and Du Toit have both recovered from injury niggles whilst tighthead prop Malherbe was rested against the Hurricanes before last week’s bye as part of the Springbok management plan. As a result Wilco Louw and Jan de Klerk will feature off the replacements bench, with the only other change to the forward pack coming at loosehead prop where Oli Kebble switches with Ali Vermaak to claim the starting spot. In the backline Dillyn Leyds steps into the flyhalf role he performed in Wellingon when Rob du Preez was forced from the field with a torn pectoral muscle and a fit-again Seabelo Senatla takes his place out on the left wing. 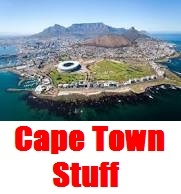 The City of Cape Town warns all residents and businesses in Cape Town to cut non-essential municipal water use immediately. The City’s Mayoral Committee is expected to recommend to Council the implementation of Level 4 water restrictions tomorrow, 16 May 2017. This would entail a ban on all use of municipal water for outside and non-essential purposes. Dam levels are now at 22% (storage levels), which is 0,7% down from a week ago. With the last 10% of a dam’s water mostly not being useable, dam levels are effectively at 12%. The latest consumption has jumped up again to 720 million litres, which is 120 million litres over the consumption target of 600 million litres. The City of Cape Town thanks consumers for their saving efforts but is concerned that usage has increased to 720 million litres of collective use per day, possibly following the hot and cold spell of weather last week. The City warns consumers to save water consistently and not to be influenced by the weather. The City has also finalised its latest list of Top 100 highest, non-indigent, domestic high water consumers for March 2017. It shows that leaks on private property, which is the responsibility of the owner to fix, remains a major cause of avoidable high consumption. Approximately two thirds of the Top 30 properties on the March list, were found to have leaks on the properties which were the reason for the high consumption. City water inspectors have been engaging with the high users and most of these leaks have been repaired by the owners. DHL Stormers flyhalf Robert du Preez has been ruled out with a torn pectoral muscle and will undergo specialist opinion regarding possible surgery. Du Preez was the only major casualty from the DHL Stormers final tour game against the Hurricanes in Wellington. Centre Dan du Plessis and flank Cobus Wiese have both successfully undergone surgery on dislocated shoulders which have put them out of action for the next four months. Centre Damian de Allende (ankle) and wing Seabelo Senatla (foot) will both return to full training this week after lengthy lay-offs, along with locks Eben Etzebeth (calf) and Pieter-Steph du Toit (knee) who have recovered from minor niggles. Despite the recent rains the situation remains critical, and the City calls on residents to maintain their savings efforts. ‘We thank the many residents who are still active water ambassadors. We do, however, need to become more consistent as our consumption remains too high considering the unexpected hot weather which continues and irrespective of the bit of rain that we have had.